There exist numerous ways to pick an order from a distribution center or a warehouse station. One can either pick by an order or conduct batch picking. However, each picking mode has its very own focal points or advantages. 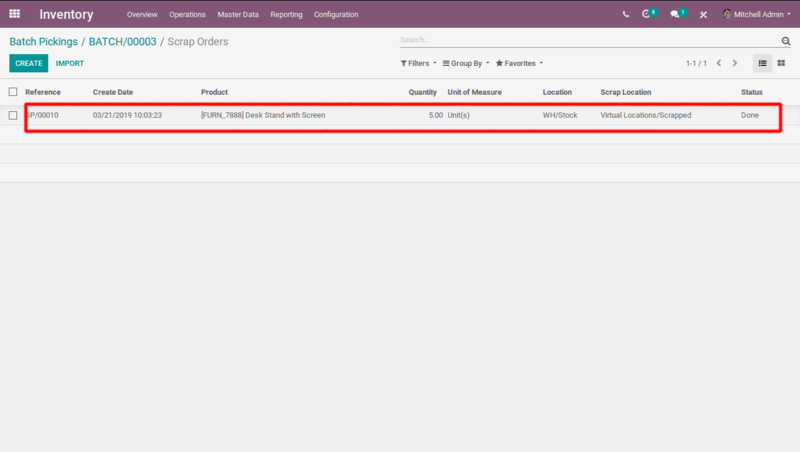 In this article am going to discuss Batch Pickings in Odoo ERP. 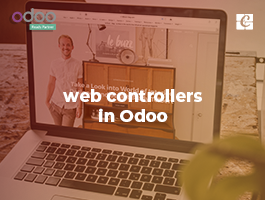 We know Odoo is a self-sufficient and robust platform for efficient business management functioning. 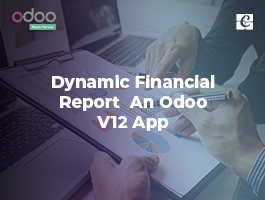 Odoo comes fully-integrated with several management modules like inventory, accounting, and finance, sales, purchase, customer relationship management, human resources, e-commerce, etc for complete management of a business. 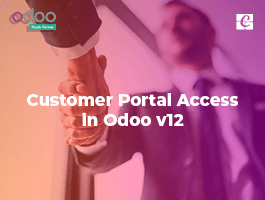 Odoo’s inventory module has all that robust features that a business organization desires for. 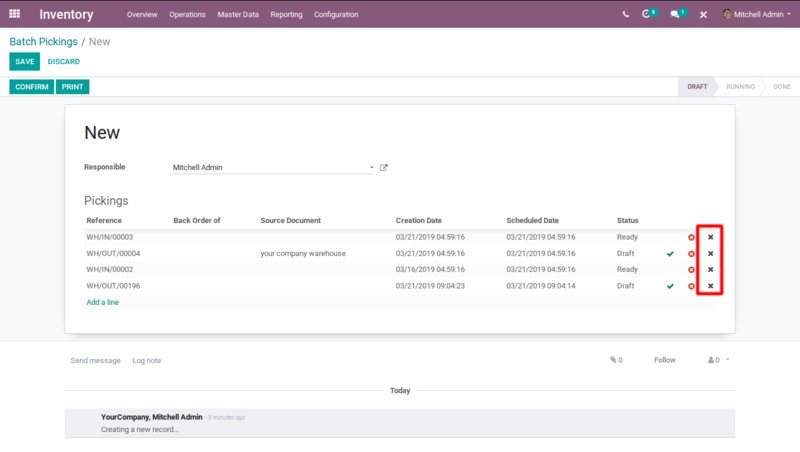 The module offers comprehensive functionalities like- full traceability from supplier to the customer, management of a single inventory or a complex multi-warehouses environment, seamless packing of orders and delivery of goods, efficient management of inventory adjustments, advanced routing facilitations, customer portals, inventory valuation methods, etc. 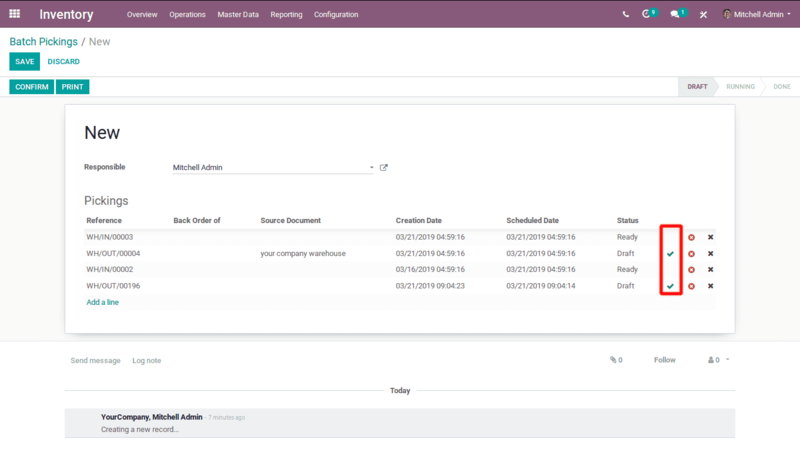 In short, it comes comprehensively for a complete, full on the management of a business inventory. Coming to our topic, Batch Pickings, the process combines the lines from different orders thus saving time, productivity, and reduction of labor costs. Batch Picking is defined as a group of transfers, picked together to make a batch. Here, transfers include the receipts, delivery orders and internal transfers. In the usual scenario, the individual manages their every transfer separately. This is quite strenuous and challenging. However, batch pickings make it easy. 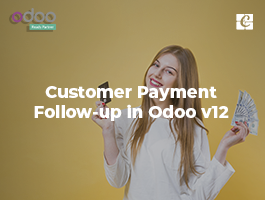 Under the option, one can manage multiple transfers under a single batch This significantly reduces the transport time and allows the business to fulfill large batches of items in a single move. 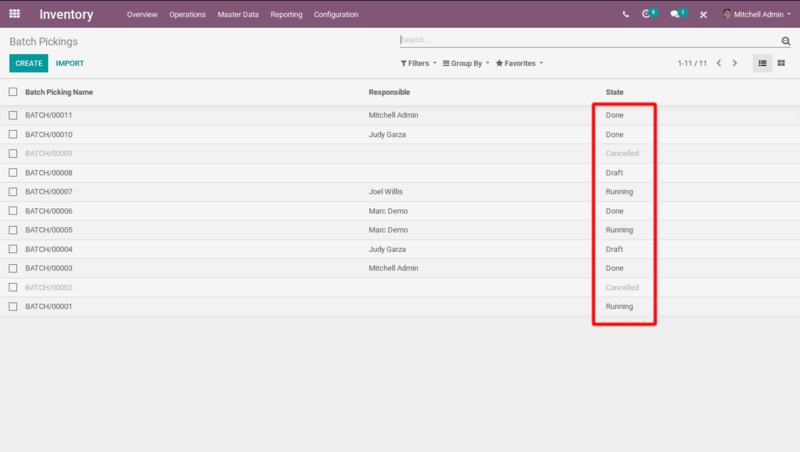 Based on fulfillment needs and promises, one can also schedule the critical first in Odoo batch pickings. 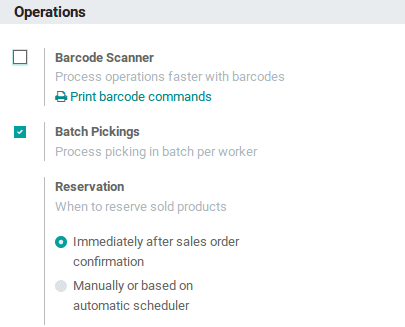 If one has sales orders for the same route, they can opt for a batch picking for all those transfers. One can efficiently handle those transfers from a batch. Batch Pickings thus reduces the transport time and cost of a vendor. 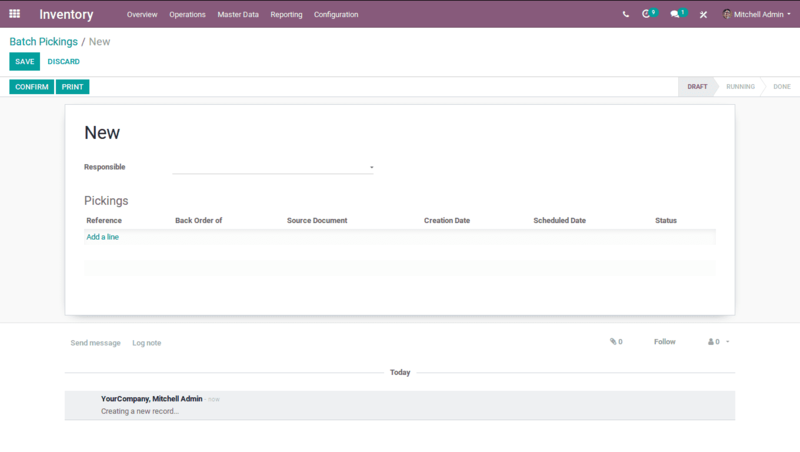 After a batch gets confirmed, each transfer can be managed separately ie, if its a sales order; put in the pack, backorder, return, scraps, etc can be managed within the batch itself. One can also handle the delivery of a transfer from a batch. 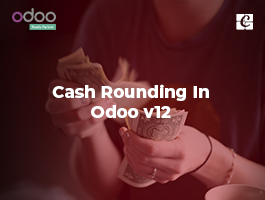 Odoo also enables to cancel and remove transfers from a batch, if something goes wrong in the consignment. 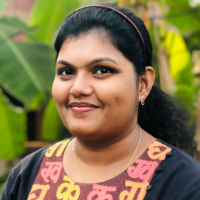 If a transfer delivered and there are transfers that are not yet delivered, the batch will still be in running state, until the batch is completely delivered. Go to Inventory -> Operations -> Batch Pickings -> Create. 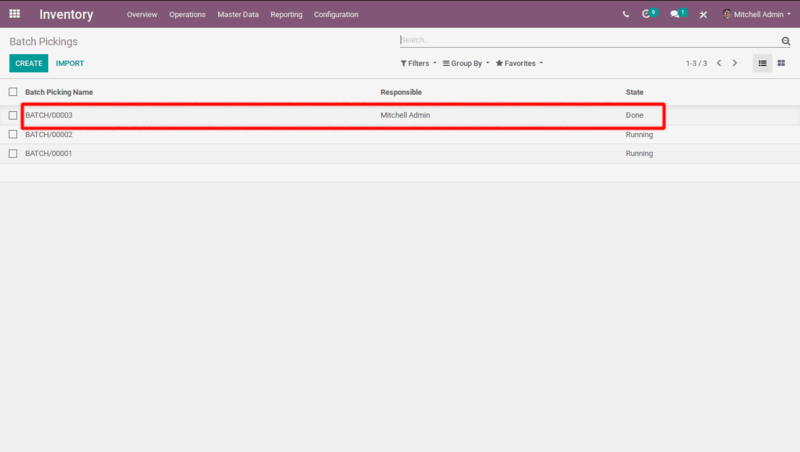 Responsible: The field defines the person who is made responsible for this batch picking. One can keep it blank if multiple persons are handling the same batch. Add a line: Here, one can add pickings (transfers) for this batch. 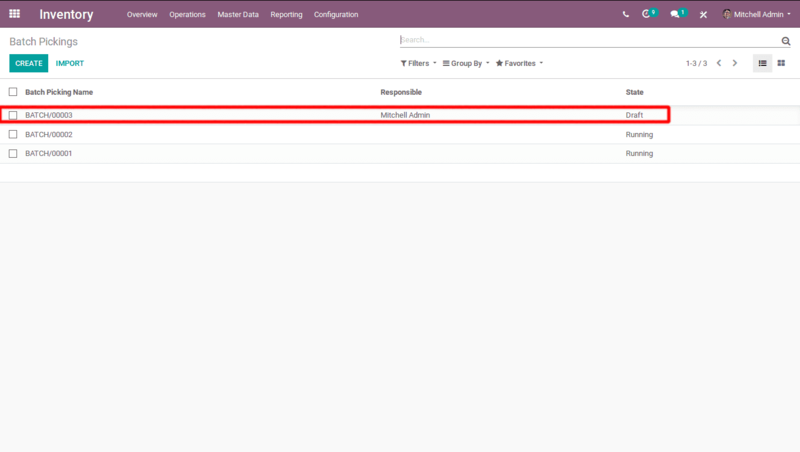 Add Pickings: Under the field, one can select the transfers for the batch. 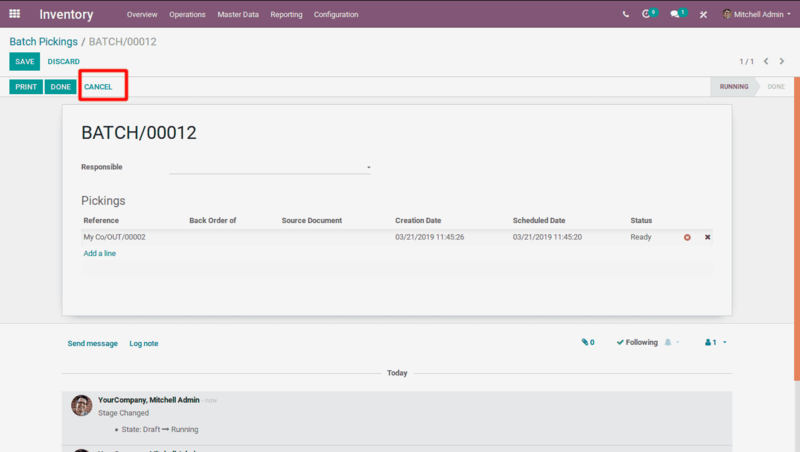 After selecting the required transfers, Click on the SELECT Button. Thereafter the transfers will get added to the batch. On adding the pickings(transfers), if the transfer is a draft, one can confirm the transfer from the batch itself. It can be confirmed via clicking the green tick mark. Upon confirming the batch, the draft will be confirmed to ready. 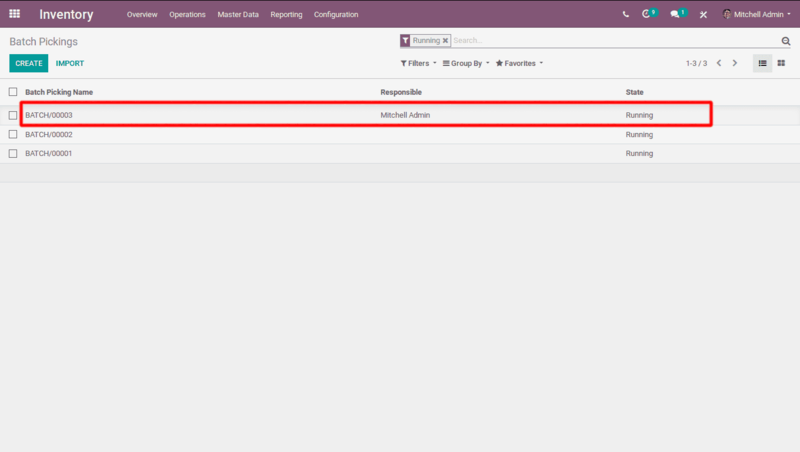 One can easily cancel transfers from the batch itself. It can be canceled via clicking the red cross mark. One can remove the transfers from a batch. It can be removed from the batch via clicking the black cross mark. 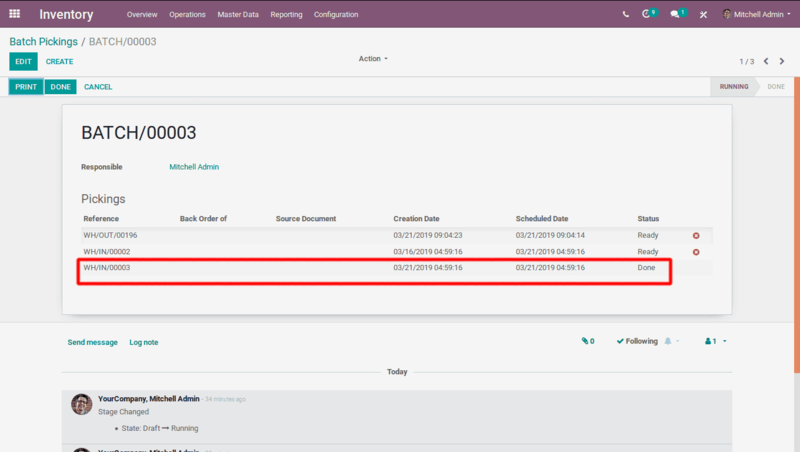 Odoo enables you to see transfers that are not yet confirmed. You can find them in the waiting state. Once all the transfers are added to a batch, upon confirming them, the batch will change to running state. After a batch is confirmed, each transfer can be managed separately ie, one can validate a single transfer, create a back order, return product, or add to scraps from the batch itself. State of a batch can be draft, running, canceled and done. Draft: Batch is not ready /it is not confirmed. Running: Batch is in running state. 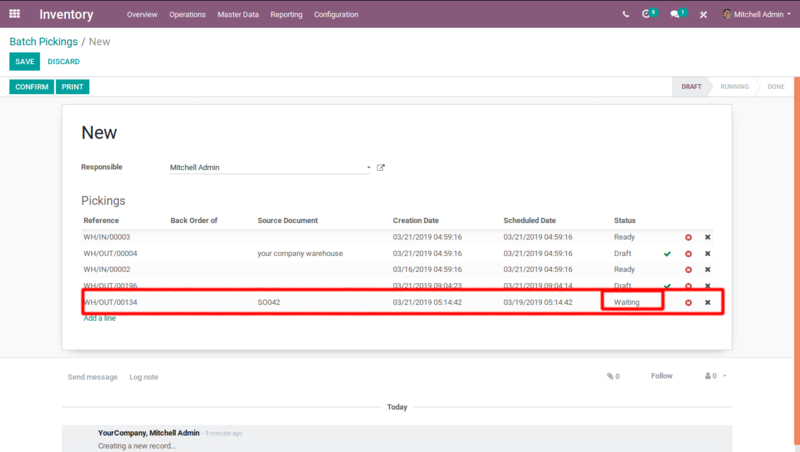 On delivering transfers (done) ie, if a single transfer is delivered but there are transfers that are not yet delivered, the batch will be in a running state, until all transfers in a batch are delivered. 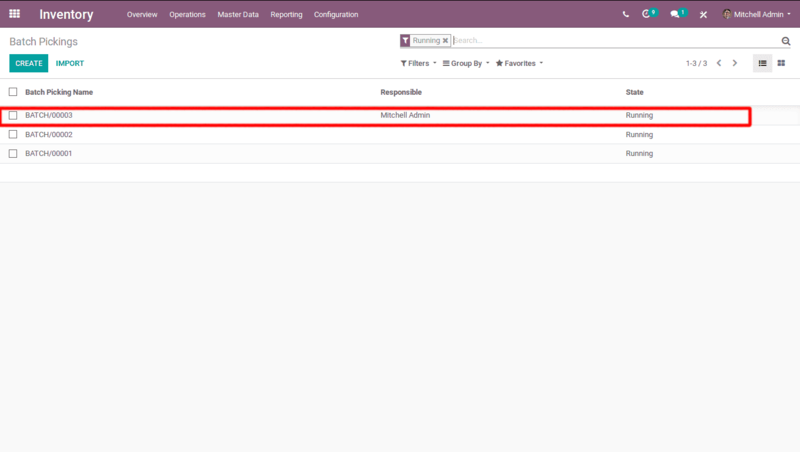 When all the transfers in a batch are delivered (ie, Batch is delivered), then the batch will automatically change to the done state. Here, a single transfer is delivered, but there are transfers that are not yet delivered. Therefore, the batch will be in running state. When a batch is delivered. On delivering the batch, the corresponding batch will change its state as done. 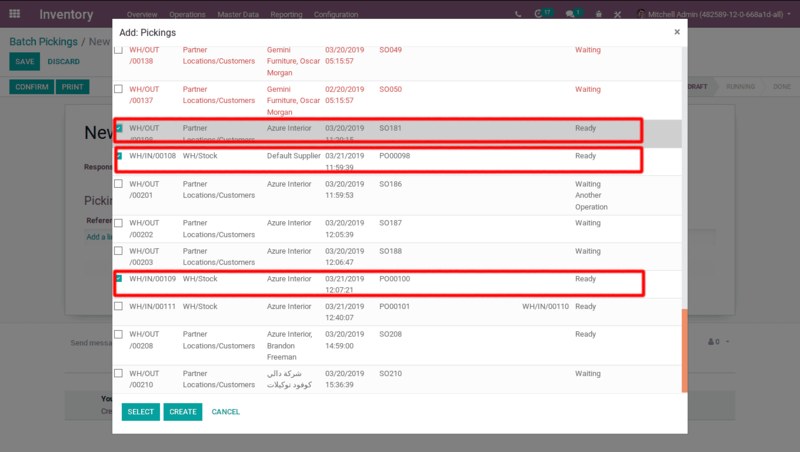 One can cancel the batch in Odoo. A batch can be canceled when it is in running state.